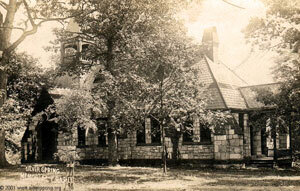 Silver Spring Presbyterian Church's richest history can be found in its cemetery. The "Burying Ground" dates to the early 1700's and the earliest surviving cemetery map was completed in 1892. The cemetery contains the resting places of Central Pennsylvanians throughout much of America's history, including many wars. 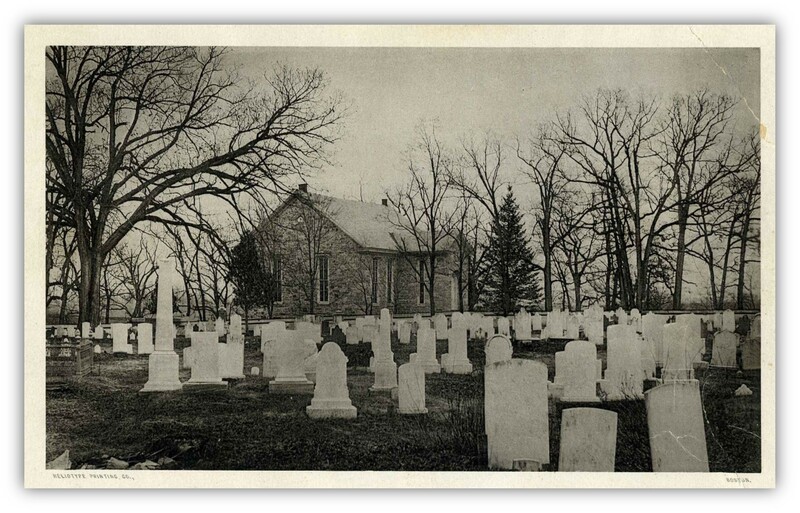 We have compiled comprehensive information about our cemetery, free for download, on our resource page. "Silver Spring Presbyterian Church–the people of God's Meeting House on a journey to meet and to know Christ, one another, and our better selves through worship, fellowship, and discipleship." As a Presbyterian congregation our beliefs are informed by the Presbyterian and Reformed tradition. You can find out more about what Presbyterians believe by visiting the Presbyterian Church (U.S.A.). website. In the early 1700's, a number of pioneers, most Presbyterians of Scotch-Irish descent, began to cross over the Susquehanna River to settle in the Cumberland valley. Notable among them were James and Hannah Silver, whose natural spring became the gathering place for many of those early faithful. The first recorded meeting of "the people over the Susquehanna," as they were then known, occurred in the fall of 1734. Shortly thereafter a small log meeting house was erected near the present site and served the people for half a century. Construction of a new “Meiting House” was completed in 1784 in the simple yet exquisite style of the day. It is in that same church building that we continue to worship to this day. Through the years the design and interior configuration of the church have undergone numerous changes,including the addition of a vestibule and countervailing chancel area in 1866 and removal of the balconies. The Meiting House was painstakingly restored to its original form in 1929 through the generosity of Vance, Henry and Anne McCormick, members of a prominent central Pennsylvania family whose ties to Silver Spring date back to its beginnings. This included reconstruction of the galleries, box pews and doors, wine glass pulpit and chancel railing, all hand crafted using only period tools. In 1885 a small chapel was constructed adjacent to the stone edifice and has been used variously for worship, Sunday school and other church activities. This was enhanced by the addition of a gymnasium and kitchen in 1948, the Christian education and administration building in 1966, and the major updating and expansion of all facilities in 1992. Of far greater importance than these buildings has been the role of numerous men and women of Silver Spring in the life and development of both the region and the country. Many have been military leaders and soldiers. Others have made their contribution in the political realm, as did Jonathan Hoge who served in the Continental Congress, and the Reverend T.J. Ferguson who, while serving as pastor of Silver Spring for fifty years, was a member of the Pennsylvania General Assembly. The graves of these and many other faithful Silver Spring Presbyterians dating from 1747 may be found within the walls of the adjacent cemetery.